Bio: “Alcoholism, Binge-Drinking, and Young Adult Males: Do I Have a Problem?” was written by Mt. Regis clinical team member Erica Smith, M.A., NCC. Erica has several years of experience working in the treatment field as a clinical therapist and has her Master’s Degree in Clinical Counseling Psychology from the American School of Professional Psychology. Site Description: Mount Regis Center (http://www.mtregis.com) is a leading drug addiction treatment center for men and women who are dealing with substance abuse and alcoholism. We offer inpatient and outpatient addiction treatment options that are based on the 12-step model for addiction. We also offer a medically monitored detox program that helps our patients remain safe as their bodies become rid of all drugs and alcohol as they begin on their path to sobriety. Our goal is to help our patients come to understand the disease of addiction, realize their full potential, and learn to live a happy, healthy, and productive life, free from the dependency of alcohol and drugs. According to the Centers for Disease Control and Prevention (CDC), binge drinking is considered to be the most common type of excessive alcohol use in the United States. 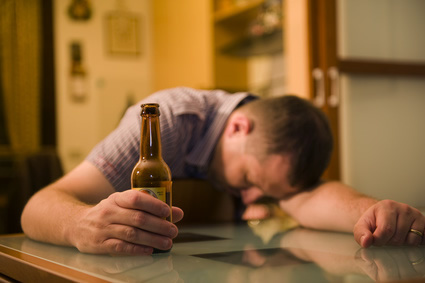 The National Institute on Alcohol Abuse and Alcoholism (NIAAA) defines binge drinking as a pattern of drinking that brings a person’s blood alcohol level to 0.08 grams or more, typically with men consuming five or more drinks and when women consume four or more drinks, within the span of about two hours . The CDC states that binge drinking is most common among young adults between the ages of 18 and 34. It is estimated that one out every six Americans is a binge drinker and more than 38 million adults binge drink on an average of four times per month. Most people who binge drink are not dependent on alcohol, meaning they do not experience signs of withdrawal when they do not drink. Yet, just because a person may not be dependent on alcohol, it does not mean that they do not have a problem. How Do You Define a Drinking Problem? One of the biggest problems with binge drinkers is that they do not recognize that they have a problem because they are not drinking on a daily basis. People tend to think that, in order to be classified as having an actual drinking problem, they must be drinking alcohol so much that it negatively impacts their ability to function every day. It is not uncommon for people to associate drinking problems with needing to drink every day or with missing school or work regularly as a result of being intoxicated. Just because you are able to get the things done and adhere to all of your responsibilities and only drink excessively on the weekends, or every other weekend, or when you’re with friends, does not mean that you do not have a problem. Binge drinking may seem harmless, but overindulging in alcohol is, according to Men’s Fitness, actually the cause behind more than 80,000 deaths in America . So how do you know if you are a binge drinker? How do you know if you actually have a problem? One way to judge is based on whether or not you are able to set and then abide by your own limits. For example, are you able to go out with your friends on a weekend, decide that you are only going to have two beers, and then really stop after those two beers are gone? Or is it more likely that you will convince yourself that having one more is not a big deal? Another sign that you have crossed the line into having a drinking problem is if you black out after a night of drinking alcohol. Maybe you wake up in bed and not remember how you got there, or your friends talk to you about something you did while intoxicated but you have no recollection of doing it. Binge drinking also has the potential to cause those who do it to participate in high risk behaviors. According to the NIAAA, alcohol is believed to be the cause of 60% of fatal burn injuries and drownings, and 40% of fatal falls and car accidents. Alcohol lowers a person’s inhibition and causes them to experience feelings of grandiosity and invincibility; they begin to feel as though nothing can harm them. As a result, these people may begin to participate in behaviors that they would never even consider doing when they are sober. Additionally, binge drinking can also quickly escalate into alcoholism. Before the person knows it, their weekends of fun or only drinking while socializing have led to their feeling dependent on alcohol in order to have a good time, or in order to be comfortable in social settings in general. Sadly, it might not take long for alcohol to consume a person’s life. If you are over the age of 21, having an alcoholic drink every now and then is not a big deal. But it is important that you are aware of your behaviors so that you save yourself from crossing the line into problematic drinking patterns. 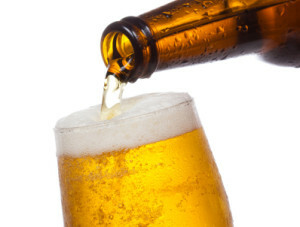 Binge drinking and alcoholism not only put your safety in jeopardy, but your health as well. Binge drinking can raise your blood pressure, boost your risk of cancer, and interfere with any medications that you may be taking. Just ask yourself, is it worth it?